It’s not that easy to get rid of stubborn fatty deposits even with a healthy diet and strict exercise regimen. Even with an ideal weight, obtaining a body shape you are happy with can be challenging due to the appearance of double chins, bingo wings and saddle bags. 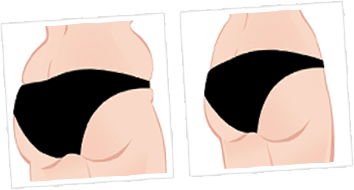 Why are some areas of fat so difficult to remove? The reason behind this is often due to our genetics. With weight loss, the fat cells decrease in volume, however they do not decrease in number and will persistently store fat. Aqualyx™ injections or injection lipolysis can provide the solution for these areas of stubborn body fat. Developed in Italy and launched in 2009, Aqualyx injections were specifically designed to target small areas of fatty deposits with a minimally invasive procedure. Over 2 million procedures have already been carried out in mainland Europe. 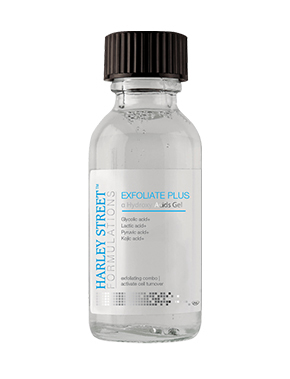 Aqualyx™ Is CE Approved And Carried Out By Trained Cosmetic Doctors Only. 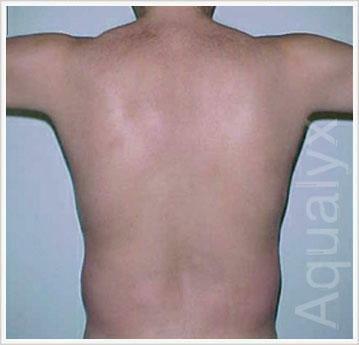 Once Aqualyx injection is injected, Aqualyx solution dissolves fat cells into fatty acids that are ultimately reabsorbed and excreted out by the body naturally in the weeks following the treatment. It is a synthetically produced analogue of our natural bile acid, which helps to break down the cell walls of the fat cells releasing the content of the fatty acid inside. The body is then able to utilise this fatty acid energy and remove cell residue in its normal way. 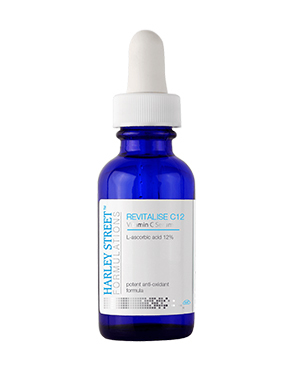 Destroying the fat cells leads to a long lasting solution provided weight remains stable. The treatment procedure involves a cannula to inject the Aqualyx solution directly into the fatty tissue. A local anaesthetic will help reduce any discomfort. Most individuals are able to tolerate the treatment well with a mild stinging sensation. Immediately after the procedure, the treated area may appear red and slightly swollen which may last 1-3 days. Every patient is reviewed at a separate appointment. Another treatment may be performed depending on the amount of fat and the targeted area. Typically, two to five treatments are required with four week intervals. 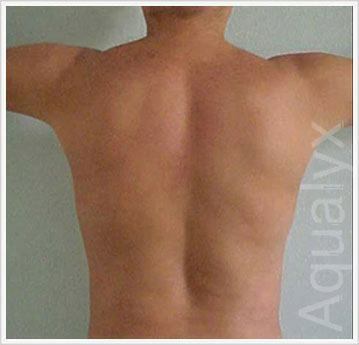 As an alternative to liposuction, Aqualyx is a non-surgical procedure with less downtime. There is no need for a general anaesthetic, the patient does not require any incisions or stiches. Hence scarring is unlikely to occur. The removal of fat cells provides a long-lasting solution given that the patients continue a healthy lifestyle. Pregnant or breastfeeding ladies should not have this treatment. Aqualyx injections are unsuitable for treatment around eyes or ankles. 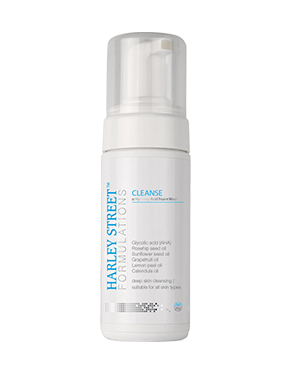 Patients with underlying medical conditions, skin diseases in the affected area or with severe allergies may be advised against this treatment. Suitability and other information about Aqualyx will be discussed during a consultation. Aqualyx™ will not produce weight loss. A healthy diet is recommended with this treatment to aid the body releasing the energy from the metabolised fatty acids. The aim is to reduce only stubborn pockets of fat. There is no evidence of the destroyed fat cells redeveloping. There is a possibility of remaining fat cells increasing in size if exercise and a sensible diet are not maintained. Keep the treated area free from cosmetics for 12 hours post procedure. Avoid heat and sun exposure. Abstain from strenuous exercise for 1 week. Maintain a healthy diet to ensure that energy released from the fatty acids does not subsequently reform fatty deposits elsewhere. In Which Case Is AQUALYX™ Contra-Indicated? What Research Has Been Completed On Aqualyx? 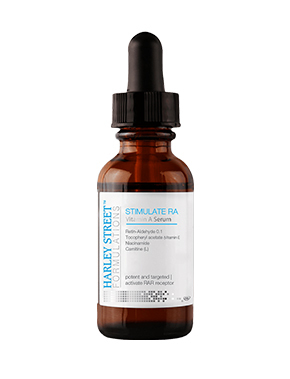 How Many Treatments Are Needed Until The Fat Depot Is Completely Dissolved? The number of treatments is dependent on the personal response of every individual. Can Aqualyx™ Be Administered During Pregnancy & Lactation? Aqualyx™ is clearly contra-indicated for pregnant or breastfeeding women. Do Dissolved Fat Cells Return Or Redevelop? From today's scientific knowledge no dissolved fat cell will ever return or be redeveloped by the body. Nevertheless remaining fat cells can dramatically increase their size. Therefore it is important to stay on a balanced nutrition protocol and keep on moving. Which Measures Can Assist The Success Of A Treatment With Aqualyx™? We recommend a balanced nutrition protocol and regular exercises. The application of ultrasound right after the injection treatment will support the success as well. Helpful are also lymph drainage, the intake of amino acids and the so-called pressure therapy. Can I Eat Anything I Want Now? If you eat anything you want the dissolved fat will simply appear on other parts of your body or remaining fat cells will increase their size. The success of any fat method dissolving (Aqualyx™, liposuction, cryolipolysis) is dependent on a balanced nutrition protocol. Patients with other severe organic diseases.